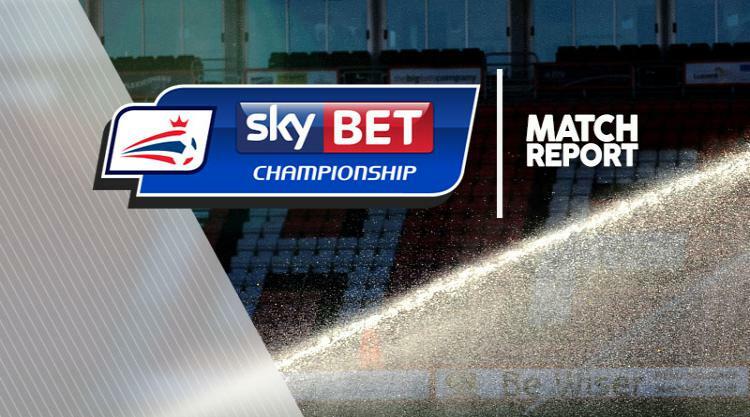 Gary Madine's ninth goal of the season for Bolton secured a 1-0 win over fellow strugglers Hull to lift Wanderers out of the Sky Bet Championship relegation zone. Madine's previous strike earned Phil Parkinson's side all three points at Sheffield United last Saturday. And his 20th minute free-kick proved good enough to give the Trotters back-to-back wins in the Championship for the first time since Boxing Day 2014. Hull, who have not tasted victory at Bolton since 1935, have now won only one of their last 13 second tier games. Nigel Adkins' Tigers threw everything forward in search of an equaliser but Bolton held on for another priceless win and clean sheet on their 500th game at the Macron Stadium. Despite that confidence-boosting success at high flyers Sheffield United Parkinson made four changes to his starting line-up and also reverted to a 4-4-2 formation. Only four players started the corresponding fixture at the KCOM Stadium in August when Hull won 4-0. In contrast, Hull manager Adkins kept all but one of the starting 11 that drew 2-2 with Fulham 48 hours earlier with Markus Henriksen replacing Seb Larsson. In dreadful conditions, Hull settled quickest and forced three corners in the first 15 minutes. Wanderers were also forced into an early reshuffle when Karl Henry suffered a suspected muscle injury to be replaced by Josh Cullen. The on-loan West Ham youngster was one of Wanderers' best players in the win at Sheffield United and he was soon in the thick of the action. But after 20 minutes Wanderers took the lead with their first shot on target. Madine and Sammy Ameobi, restored to the team after missing the win at Bramall Lane, stood over a free-kick 20 yards from goal. Top scorer Madine whipped the ball in right footed, up and over the wall into the back of Allan McGregor's net. Hull responded well and Ben Alnwick saved from Jarrod Bowen and then pushed away a Jon Toral free-kick. In between, Parkinson was forced into a second change when skipper Darren Pratley succumbed to an earlier challenge. Filipe Morais replaced the ex-Swansea midfielder, leaving Bolton with only a final change for the remaining hour. Hull came close to equalising two minutes into the second period as Nouha Dicko drilled a low cross to the far post and Bowen crashed a shot against the woodwork. Without being a classic, the game was developing into an intriguing contest between two sides desperate for the points. Substitute Morais tested McGregor with a close range header from stand-in captain Josh Vela's cross from the right after 55 minutes. On the hour City made a double substitution with Fraizer Campbell and Larsson replacing Kevin Stewart and Dicko. Bowen had a close range shot blocked by Mark Beevers and substitute Evandro narrowly failed to get on the end of a Toral cross. Madine could have settled home nerves with an 88th minute header that flashed wide but the big striker's first half contribution made the difference.